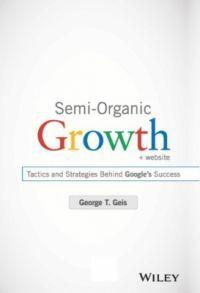 Semi-Organic Growth + Website is a hands-on resource that offers a probing look at why Google has become an expert at mergers and acquisitions and offers an analysis of how the company developed their winning business strategy, George T. Geis--a noted expert in the field--examines Google's unique semi-organic strategy for accelerating product and service revenue, explains why Google continues to thrive, and reveals why so many other organizations don't have the key to successful M&A. Semi-Organic Growth is filled with valuable lessons learned from Google's many M&A transactions. The author includes an exploration of the innovative methods that foster synergy, explains why corporate M&A activity so often fails to add value, and delves deep into the complex dimensions of post-transaction integration. For any organization that wants to apply the strategies and techniques described in Semi-Organic Growth, the books companion website includes videos that add key insights.